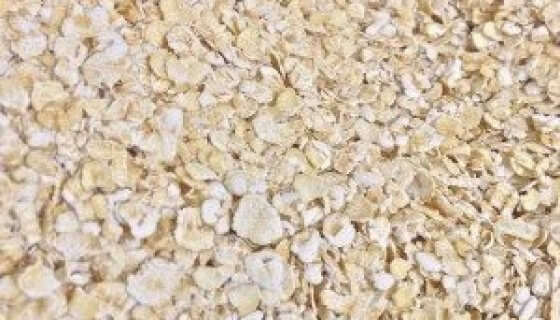 Rolled OatsRolled Oats These Rolled Oats are grown and processed in Australia, are GMO free and have no added preservatives. The oats are seasonally harvested, steamed and simply rolled in a press. Australian Rolled Oats are full flavoured, slightly nutty, with a subtle fresh aroma. 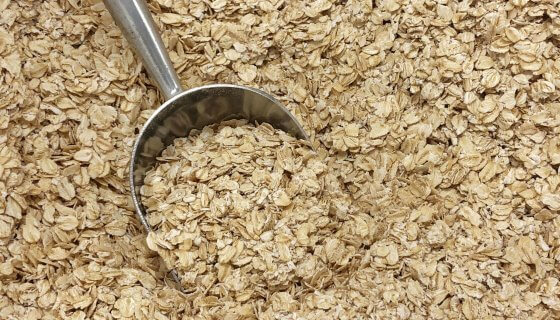 Oats are a traditional ingredient in porridge, muesli, apple crumble and Anzac biscuits. They can be used in a myriad of ways – from breakfast to desserts, in baked and raw treats, making them a very handy staple in the pantry. 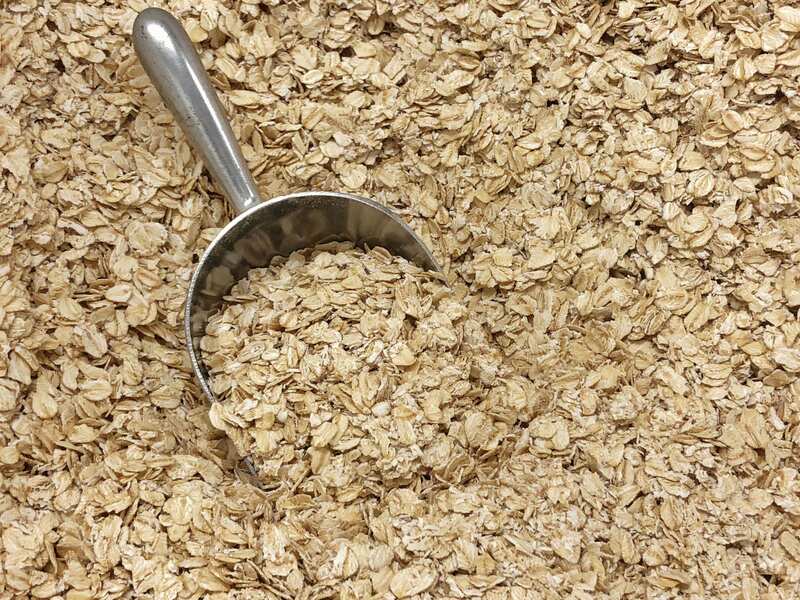 How to Use:At breakfast Rolled Oats can be used to create your own muesli; either natural Bircher Swiss or oven-toasted in honey, maple syrup or apple juice. Add them to smoothies or make delicious warming porridge topped with chopped nuts and dried fruit. Oats are wonderful in home-baked bread and muffins, and of course, the classic Anzac biscuit.They are fabulous with shredded coconut and maple syrup as an irresistible fruit crumble topping - try pear and rhubarb, apricot, or raspberry and apple. Use them in muesli bars or raw food snacks and desserts including energy balls and pressed pie-bases. 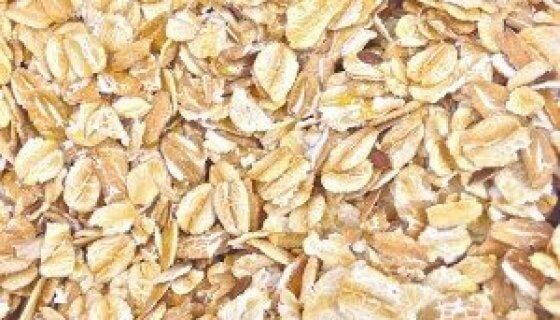 Rolled oats can also be used to make fresh Oat mylk. Simply soak oats (and a little shredded coconut if you like) with a pinch of salt, in cold water (1:6) overnight.Sweeten to taste, with a little honey or coconut nectar, and blend for 2-3 minutes. Strain through a clean cloth, squeezing the oats, and refrigerate in an airtight container. Oat mylk will stay fresh for several days, just shake if separated.Ingredients: Oats Rolled.Preservative Free, GMO Free.Allergens:This product contains Gluten. This product may contain traces of other Allergens.Storage:Store in an air tight container in a cool dry place, away from direct sunlight. Refrigerate in warm climates.Shelf Life:Up to 12 months when stored as above. See Best Before date. SKU: 40225. These Rolled Oats are grown and processed in Australia, are GMO free and have no added preservatives. The oats are seasonally harvested, steamed and simply rolled in a press. Australian Rolled Oats are full flavoured, slightly nutty, with a subtle fresh aroma. Oats are a traditional ingredient in porridge, muesli, apple crumble and Anzac biscuits. They can be used in a myriad of ways – from breakfast to desserts, in baked and raw treats, making them a very handy staple in the pantry. At breakfast Rolled Oats can be used to create your own muesli; either natural Bircher Swiss or oven-toasted in honey, maple syrup or apple juice. Add them to smoothies or make delicious warming porridge topped with chopped nuts and dried fruit. Oats are wonderful in home-baked bread and muffins, and of course, the classic Anzac biscuit. They are fabulous with shredded coconut and maple syrup as an irresistible fruit crumble topping – try pear and rhubarb, apricot, or raspberry and apple. Use them in muesli bars or raw food snacks and desserts including energy balls and pressed pie-bases. 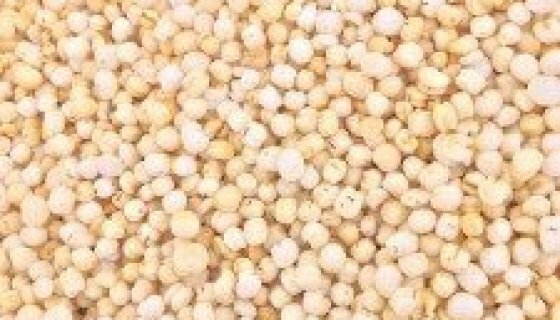 Rolled oats can also be used to make fresh Oat mylk. Simply soak oats (and a little shredded coconut if you like) with a pinch of salt, in cold water (1:6) overnight. Sweeten to taste, with a little honey or coconut nectar, and blend for 2-3 minutes. Strain through a clean cloth, squeezing the oats, and refrigerate in an airtight container. Oat mylk will stay fresh for several days, just shake if separated.